There are 8 reviews of Colonia Quercia. 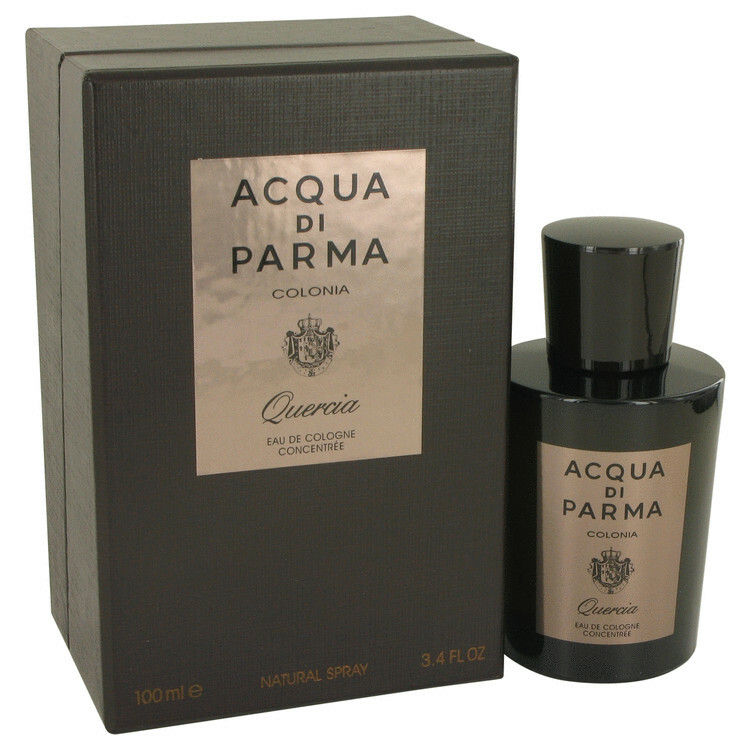 Acqua di Parma Colonia Quercia is a very classy woody-spicy scent that develops so nicely on the skin. Bergamot and cardamom start the scent journey out and linger for a while, bringing brightness and a muted citrus peel quality that is accented by the petitgrain's rosy woody touch. Cedarwood adds its requisite starchiness, with the rosy geranium holding hands with the petitgrain and amplifying the floral accord. Herbal patchouli emerges amidst all this, and the oakmoss here is thick and extra-lichen-ish than what I usually experience when it's present in a fragrance. Tonka adds an ironic sweet touch that is the final sensation atop the wood and spice character. AdPCQ feels moderately dense and slightly creamy (somewhat like Kenneth Cole Vintage Black, which incidentally has oak as a note (that's what "quercia" is referring to)), exuding an aromatic trail that is concentrated for sure! I like it, but I am certain that this is NOT a blind-buy fragrance, as its sweetness - coming it seems from the cardamom and tonka - can be a turn-off to some. Seems great for casual cooler weather wear, maybe more so for evening hours. Apparently, following the success of Baccarat Rouge, every luxury line has to have a Pure Coffee/New Haarlem coffee gourmand scent now, and this is Acqua di Parma's. If you put aside any expectations of this being a Colonia flanker or smelling like quercus (oak) and take it on its own terms, it's a decent perfume. At it's core, Quercia is based on the familiar A*Men mix of caramelized creme brulee, roasted coffee, and lavender. It amps up the lavender more than most scents of this style, adding mint as well to really create a thick aromatic herb quality that keeps this from being as sweet as its brethren. As the aromatics fade, they leave behind an abstract metallic haze that gives Quercus a designer sheen that I don't really care for. It also feels more "roasted" than similar perfumes, which sort of implies woodiness without actually smelling like wood. So, in all, I don't personally care for the aromatics, and that chemical sheen is annoying, but I like the abstract roasted woody quality, so I'm voting neutral, though it's worth pointing out that if you're a designer scent fan who hasn't been able to get into A*Men or others of that style, this might be a perfect less-sweet halfway point that you'd enjoy. A spicy kick in the middle note which I don't like (cardamom), it softens a little in the dry down, but not enough to leave a lasting positive impression on me. It reminds me of Opulent Shaik another awful synthetic mess of a scent. Nothing new under the sun, just a boring mainstream spicy tangerinic-tonkinian bath foam for us. 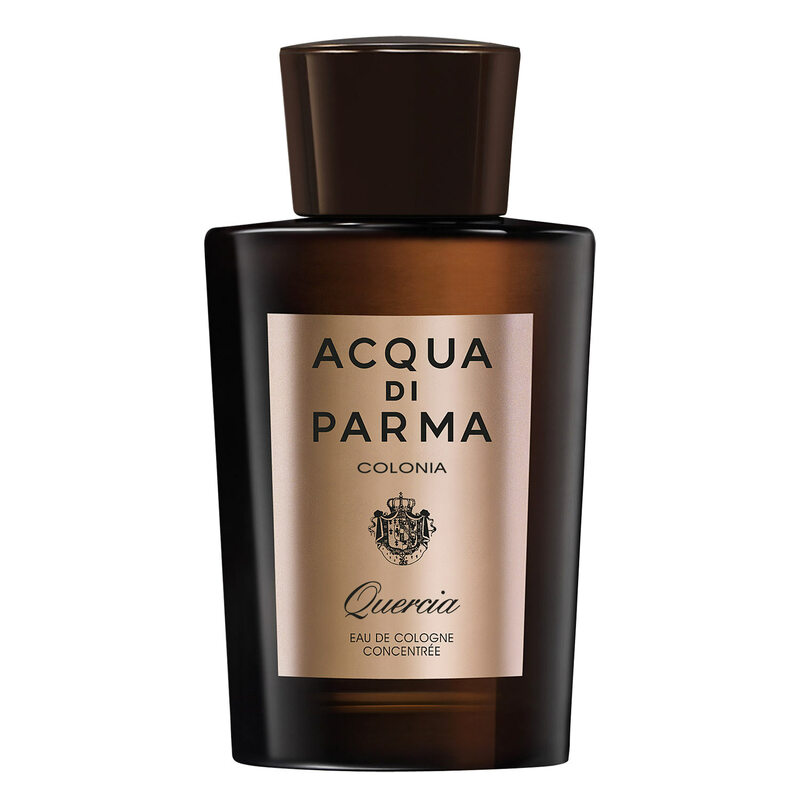 Acqua di Parma Colonia Quercia (quercia= oak) is an hardly decent synth combination of liquid cardamom, cinnamon, pepper, soapy orange, musky tonka and creamy woods. I detect also a synth ingredient smelling seemingly like a sort of boozy-orangy-rubbery musk (which I've disliked in scents as Bvlgari Man in Black as well). Lot of cardamom, cinnamon, tangerine/neroli, jasmine (or "jasmine-like") and tonka (hints of tuberose as well?). Far more spicy than woody imho. I see immediately lots of similarities with an old sharper (and far more pleasant) scent like Paloma Picasso Minotaure (because of the intense spiciness, woods, tangerine, resins and vanilla) like ideally combined with a balmy cardamomish juice a la Issey Miyake L'Eau Bleue d'Issey Pour Homme (La Nuit d'Issey jumps as well partially on mind). I detect also that light woody/suedish balminess which I catch as well in a better appointed juice as L'Erbolario Corteccia but while in Corteccia this vibe is light and woody (far more calibrated, delicate, kind of lacteous-"suedish" and finally leathery) in here it is kind of yummy-gummy, pungent and almost "juicy-edible". Finally the synthetic woodiness rises in a way overly intense (spicy-orangy) and benzoinic for my pleasure and I prefer to scrub this potion off my wrist. Not for me. An unmitigated disaster, quite unworthy of the AdP name. My heart sank when my first impression was of a very brash bergamot -- a style typical many "manly" and loud scents. This was followed by a big dollop of sweet cardamom, and an odd toasted nut note. The patchouli was tangy and sweet. The tonka was vanillin and hay-like and a bit sweet. The oak moss had an unpleasant, brackish quality to it. In sum: sour, unpleasant, loud, elevator-guy. A real scrubber. There are no member images of Colonia Quercia yet. Why not be the first?